Underground work continues to be the primary focus on the project, with both storm water and utility work in progress over the past two weeks. Replacement of the collapsed brick culvert that started earlier in May is complete, and the contractor has moved on to other storm water facilities along the future trail. 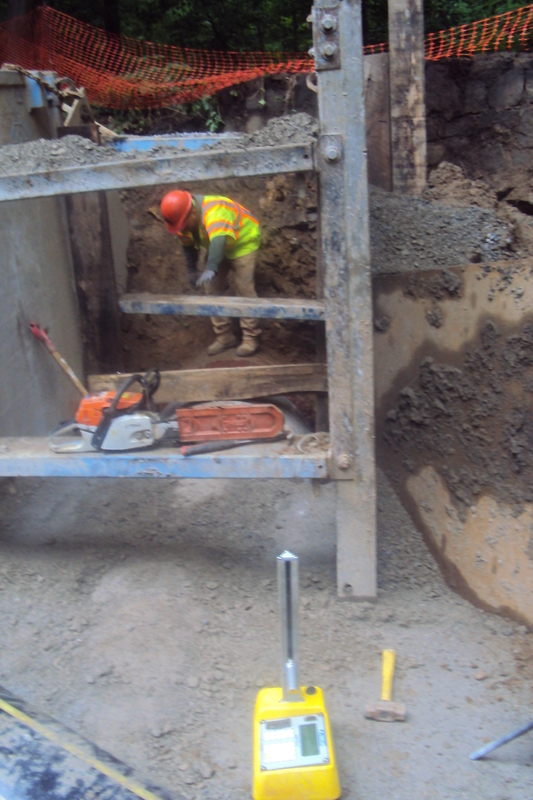 The culvert currently under construction replaces an existing metal pipe that was degraded and clogged. 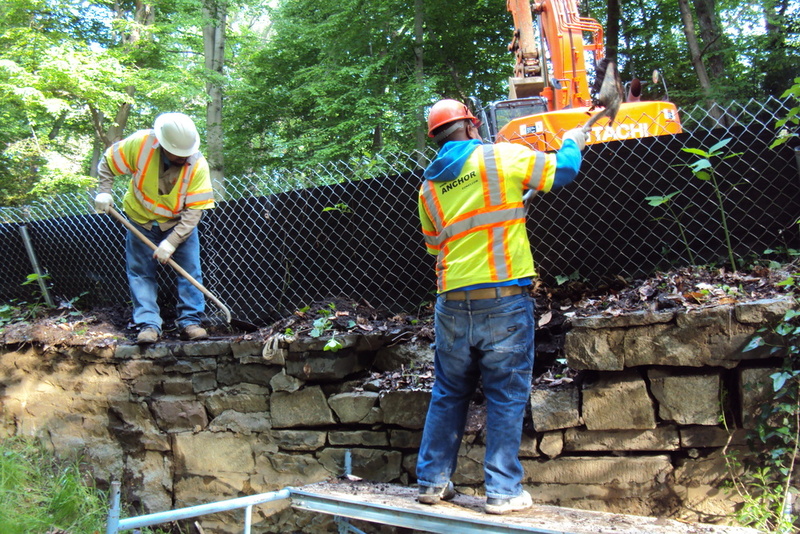 The new culvert will provide additional storm water capacity and will utilize stone from the existing headwalls. Applying lubricant to the end of the pipe to ensure correct fit between sections. A rubber gasket is placed between sections to provide a watertight seal. The contractor also started work on the sanitary sewer line that will be replaced just east of Connecticut Avenue. 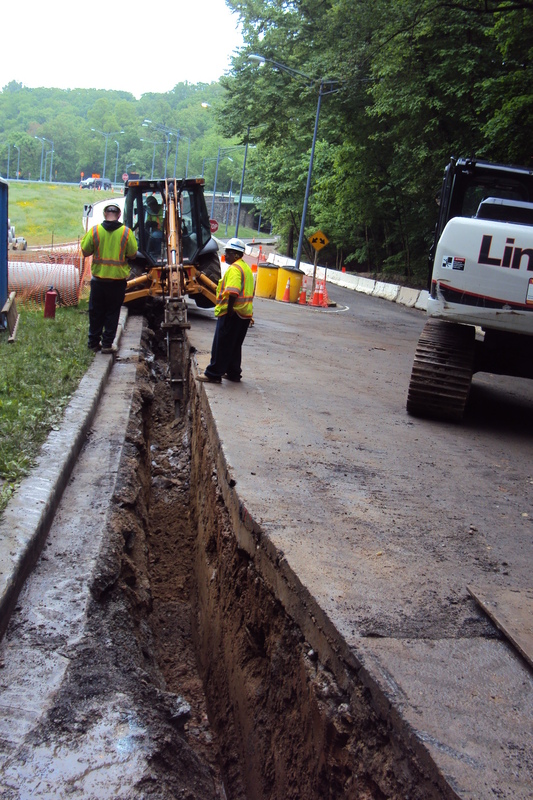 Washington Gas is nearing completion of its gas main replacement along Klingle Road/Trail. The gas contractor is within the Porter Street Interchange and will soon be close to its final connection point on Porter Street.